MCA has released a 3-track promo CD in Germany of the three different mixes of “Analyse”, including the elusive “Oceanic Long Version”. 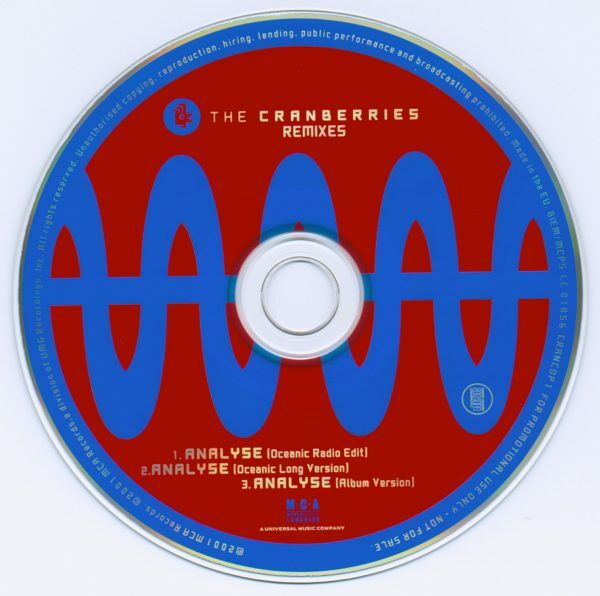 The CD also has some unique art; although it has the same photo as the common “Analyse” single, it does not include the Thorgerson-induced red spots found on the previous promo. Check out some scans of the art and CD, below.